This Bible was well packaged in a heavy duty clamshell type paper covered cardboard box, with packing foam inside. 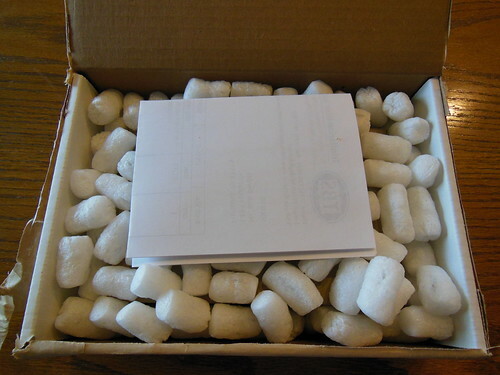 TBS does an excellent job of packaging their Bibles. I have never received one damaged in the least. 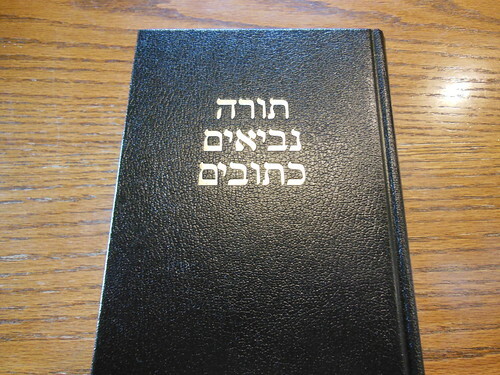 This edition is a vinyl covered hardback, with the Hebrew Old Testament starting where the back of the book would be, and the Greek New Testament starting where the front would be. This might seem backwards to you if you are unfamiliar with Hebrew, but you wouldn’t be buying this book if you were… would you? I was very impressed with the apparent quality of this book considering the low cost. Those two things alone make this a great value. 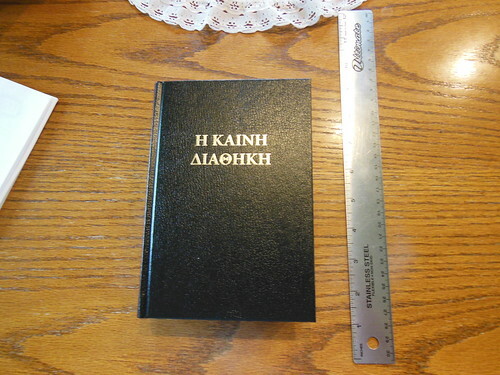 Other original language Bibles go for three times this price to start and climb up from there. I assume that the low price can be attributed to the fact that TBS is a ministry not a for profit corporation. I was pleasantly surprised when I looked at the copyright/publisher information page, and found that this volume was printed and bound by Jongbloed. They are the premier printer and binder of premium Bibles. I don’t think any company in the world does a better job at this point in time. This fact explains the excellent print job. 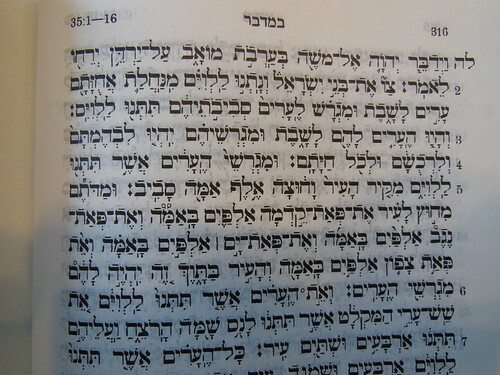 All of the masoretic vowel marks are printed sharply and uniformly, along with all of the 9 pt. Greek and Hebrew text. This makes them supremely legible compared to other lesser print shops work. All of the text is printed in black. 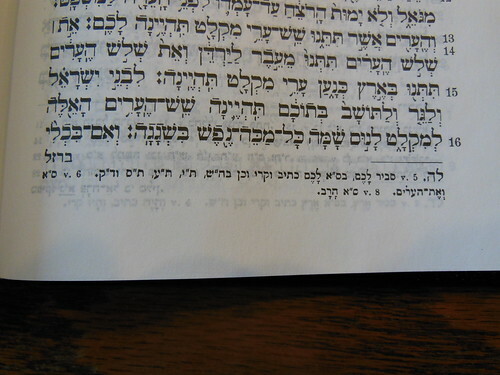 The notes at the bottom of the Hebrew section are so small they are difficult to read. 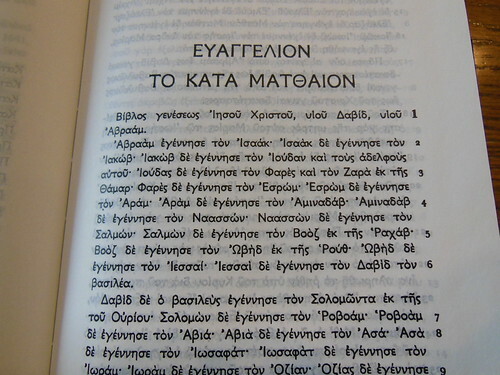 The Greek is text only. 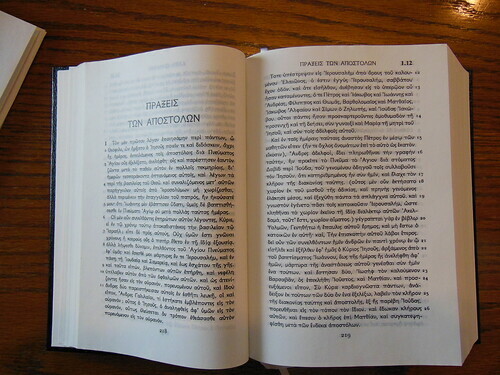 The pages are a smooth Bible paper, comparable to the paper of the Cambridge Clarion, but perhaps a bit whiter. I found it to be opaque with limited ghosting. The page edges are white. 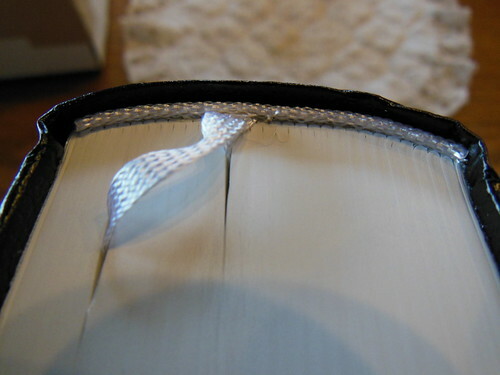 The spine is rounded and smyth sewn. The corners are not rounded. There are two round ribbon markers, that are silver. The head and tail bands match the markers in color. This Bible is close to the same size as the Cambridge Clarion. The specific texts used in this Bible are, the Ginsburg/Bomberg edition of the Hebrew Masoretic Text, and the Textus Receptus of F.H.A. Scrivener for the New Testament. I imagine if you are thinking of purchasing this Bible it is because of the source texts. I am not a KJV onlyist. I don’t agree with their assertions. However, I do understand people who prefer the KJV. Some prefer it because of the source texts, some prefer the way early modern English sounds. While I can appreciate those preferences, I oppose those who make it a matter of salvation. There are groups out there that say, “If you haven’t heard the gospel preached to you in KJV English, then you are not saved.” I don’t believe that is what T.B.S. is about. From what I’ve read on their site, they use the KJV because they believe it has the best source text. I use the NASB primarily, but still enjoy reading from the KJV and 1599 Geneva from time to time. Make sure to check out all the pictures I took on my Flickr page here. You can purchase it from TBS on their site here. 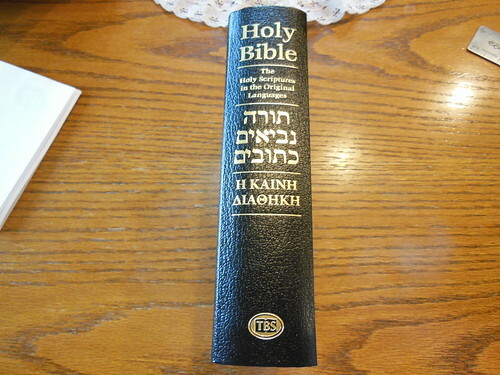 This is a good review of an original language Bible. The Hebrew font looks really good. Not too crazy about the Greek but it looks readable (I’m probably just used to the fonts the UBS and NA use). 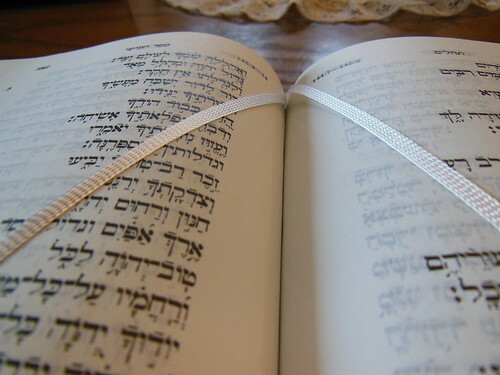 Do you know if the Hebrew has the Kethiv-Qere readings? 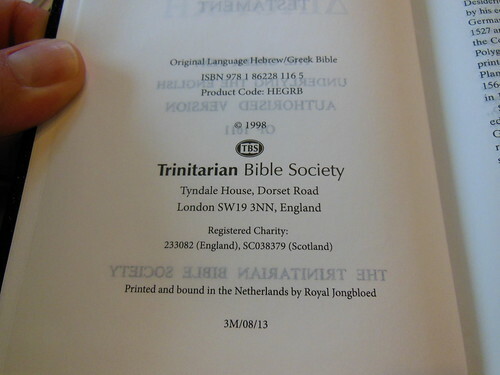 You might check out A Reader’s Hebrew and Greek Bible (ISBN 978-0310325895) from Zondervan to review. Being as it’s a soft leather cover Bible it’d be good to see what you think of the quality. I won’t be getting that one for a while. I have some other reviews stacked up that I need to do first. I’ve looked that one over. One of my friends runs a bookstore for the seminary attached to the Church he Pastors. He teaches Hebrew and Greek. That is the Bible they use with their program. I appreciate your reviews and look forward to your insights and pictures. Keep up the good work.